Sun., Jan. 29, 2017, 4 a.m. Though she was only 9 when her parents brought her to the U.S., Azra Rasic remembers the interview her whole family attended. Interviewers asked her parents what they experienced during the Bosnian War, whether they had committed any crimes and what they would do if they saw a war criminal in the U.S. They said they’d turn that person in. “I’m pretty sure that was the right answer,” Rasic said. Before that, her dad and grandfather spent months living in the family’s basement, hiding from Croatian soldiers. Rasic, her mother and younger sister lived in an apartment above and concealed the men, sneaking them food. “If they found any men there, especially if they were Muslim men, they’d take them out and kill them,” Rasic recalled. The family fled to Turkey illegally, living in Istanbul for a year before applying to come to the United States. “He sold everything in our apartment to get money to get us out,” Rasic said of her father. “The interview process went on for months,” she said. Finally, in 1994, her family was approved for resettlement. They were sent to Fargo, North Dakota, where a woman from a Lutheran church had agreed to sponsor them. Rasic and her parents got green cards and worked to pay back the cost of the plane tickets. Though her father had been an architect and her mother a lab scientist before the war, they worked minimum-wage jobs, since their degrees and credentials were worthless in America. Rasic met her husband, Admir, another Bosnian refugee, while the two were working at a nonprofit near New York City dedicated to helping Balkan youth. Admir’s family was settled in Twin Falls, Idaho, and later moved to Spokane. When the couple tired of the big city, they moved back to the Inland Northwest. 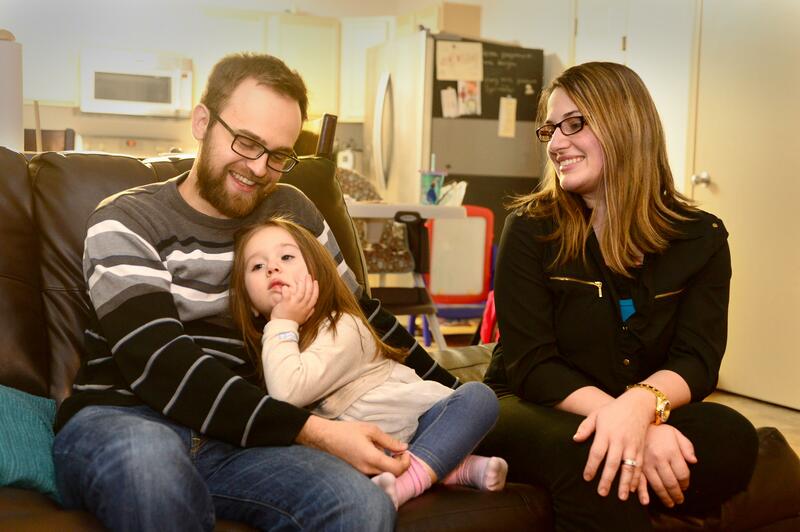 Both are now U.S. citizens and have a 3-year-old daughter, Najla, who speaks English and Bosnian. Published: Jan. 29, 2017, 4 a.m.